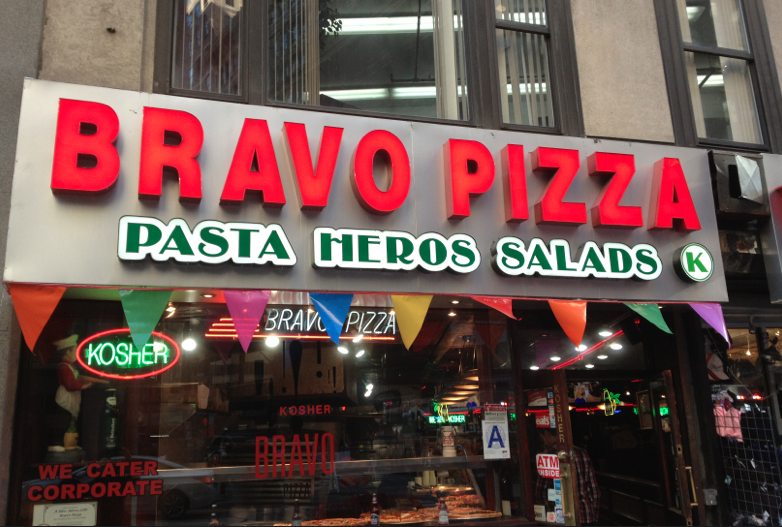 Bravo Pizza has taken over the Wall Street restaurant, Cravings located at 17 Trinity Place. 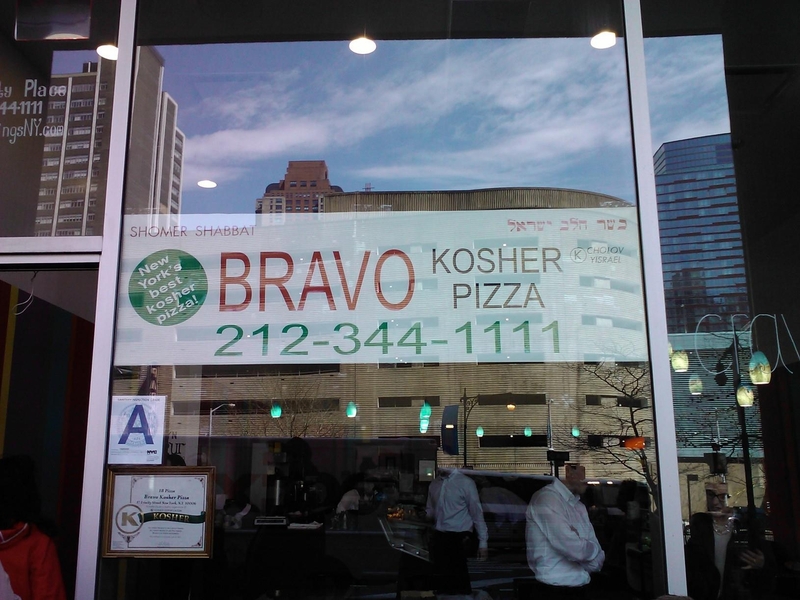 Although Bravo Pizza is a non-kosher chain in NYC, they opened a kosher pizzeria on Broadway in midtown last year. The phone number is remaining the same (212-344-1111) and they will keep the frozen yogurt store next door. The midtown location has been very successful, in spite of (or perhaps because of) it’s small location, whereas the former kosher pizza king in midtown, J2, has been relegated to a side street a few blocks away, now known as Jerusalem Cafe. The downtown pizzeria will now be under the OK Supervision (Cholov Yisroel, Pas Yisroel and Kemach Yashan – formerly under OU supervision – ironic considering the OU’s headquarters are down the block at 11 Broadway). As they do in midtown, will be offering catering to local businesses as well.